Situated at an altitude of 2000 ft. In the Kangra region, Himachal Pradesh, Pragpur is a well-known heritage village that holds a lot of religious, historical and cultural significance. The first heritage village of the country was established somewhere in the 17th century by Kuthiala sub-caste of the Sood community that resided in the region. Originally these people worked at the ruling house of Kangra as treasure keepers. Around 60 km from Dharamsala, Pragpur houses a number of temples, forts and rich past to explore, the w ay to visit the Kangra area. Every year, tourists visit this place to absorb its old-world charm. 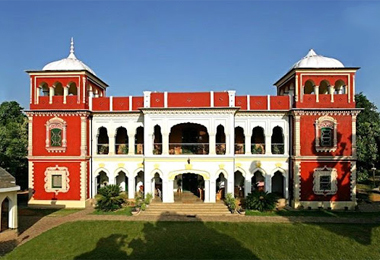 Heritage Hotels in Pragpur prove to be an excellent accommodation option for tourists who visit this place. Jude Court is one of the very popular such palace turned hotel which still has its royal feel intact. Around 300-year old, this property is eco-friendly. The hotel has spacious well-maintained and well-equipped rooms so that you can have a pleasant stay during your vacation to Pragpur. Even the list of services and amenities that are offered at the hotel is also long, comprising of every modern world-class facility. Take pleasure in impeccable Indian hospitality.